Back in August we called for comments from our members on MBIE’s proposed changes to B1/VM1 and B2/AS1. Three months later – we’re pleased to report these amendments have now been published. Over the last 9 months, HERA have worked closely with SCNZ and MBIE to exploit the significant investment that has been made in developing the new composite design standard (AS/NZS 2327) and the durability technical specification (NZS TS 3404) by having them referenced in B1/VM1 and B2/AS1 of the New Zealand Building Code. The amendments will result in AS/NZS 2327 replacing Section 13 of NZS 3404.1, and SNZ TS 3404 replacing Appendix C of NZS 3404.1. Furthermore, SNZ TS 3404 will become an Acceptable Solution for meeting the durability requirements of steel building elements. These amendments became effective on 30 November 2018. The previous Acceptable Solutions and Verification Methods will continue to comply until 31 March 2019. However, if used from 1 April 2019, the previous Acceptable Solutions and Verification Methods must be considered an alternative solution proposal. The introduction of AS/NZS 2327 expands on the information currently in NZS 3404.1 and provides design provisions on a wider range of composite structures. 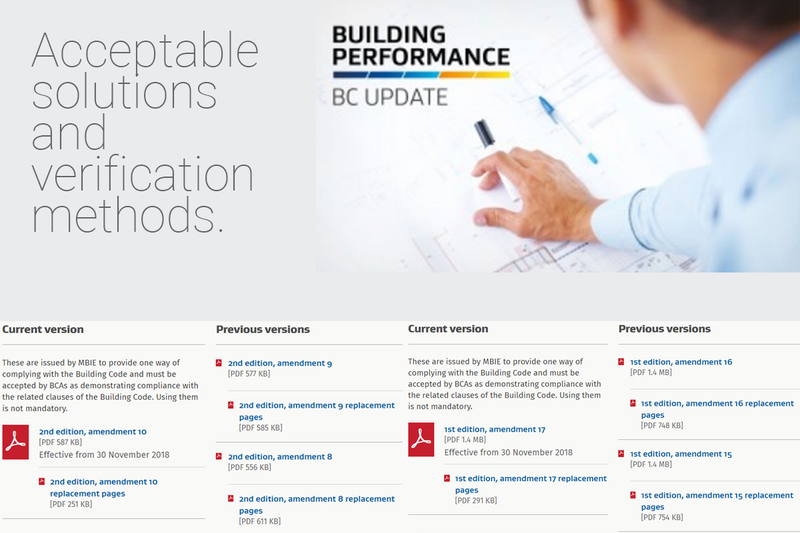 And, given that the Australian Building Codes Board (ABCB) have signalled that AS/NZS 2327 will be referenced in the 2019 edition of their NCC, this standard will remove barriers for our members providing design services in Australia or wishing to export building products for composite construction. Previously, there was no means of compliance with Building Code clause B2 Durability for steel construction, which resulted in designers using Appendix C of NZS 3404.1 and having the difficult task of applying AS/NZS 2312. NZS TS 3404 clarifies the application of AS/NZS 2312, providing a pathway for designers to specify corrosion protection systems. The addition to B2/AS1 will provide an approved compliance pathway and will avoid the need to justify alternative solutions. From 1 April 2019 building consent and territorial authorities must take these changes into account when deciding whether a building consent application complies with the building code. composite columns using concrete filled structural hollow sections. In addition, we’re also preparing a HERA guide for designing composite beams according to AS/NZS 2327. Following support from both the Australian and New Zealand industry, work has been commenced by the international software developer Oasys to implement AS/NZS 2327 within their Compos composite beam design software, which will provide a wider range of tools for users. Finally, some manufacturers of products for composite construction have subjected their systems to the standard tests given in AS/NZS 2327 to ensure that they comply with the new standard. Update shared by our General Manager Structural Systems Dr Stephen Hicks. For more information or purchase of this technical specification click here.